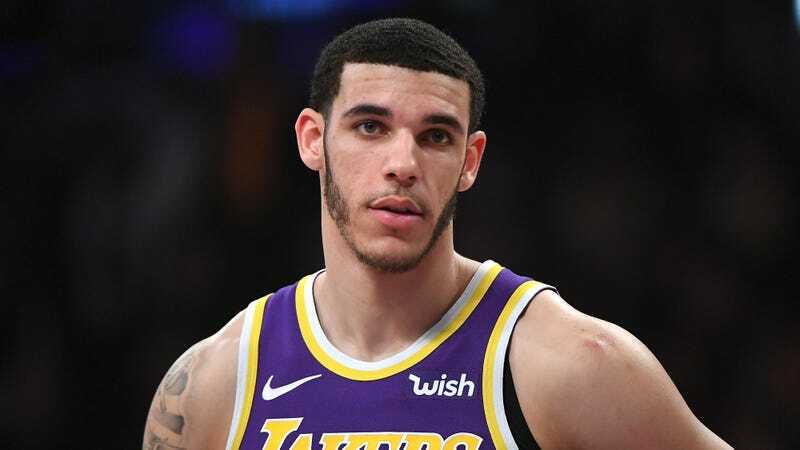 LOS ANGELES—Calling the decision to part ways with his current paternal figure “difficult but necessary,” Lakers guard Lonzo Ball announced Thursday that he had chosen CAA to represent him as a father. “I met with several suitors, but I really feel like CAA’s integrity and clear commitment to my well-being proved to be the strongest candidate to act as my father moving forward,” said the 21-year-old, who clarified that the talent and sports agency, which is now his legal kin, would be taking over all holiday roles, including buying birthday gifts and carving the turkey on Thanksgiving. “While I certainly appreciate my former father, he was oftentimes unprofessional, and I think it was time for a change of paternity. I honestly couldn’t ask for a better match. CAA is caring and compassionate, but will also defend me with a firm hand, and I know for sure they have my best interests at heart. I can’t wait for them to meet my girlfriend and see the love in their eyes when they meet their new granddaughter.” At press time, Ball had taken to social media to share a picture of him and CAA on a family vacation at a beachside resort in Punta Cana.